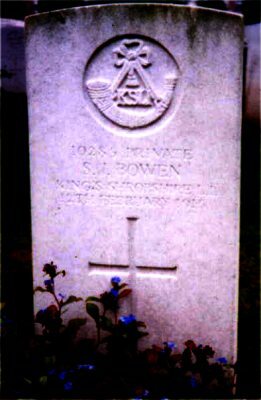 STEPHEN JOHN BOWEN (No: 10285) was born in Cardington and was living In Leebotwood when he enlisted in Shrewsbury into the KSLI. He died of wounds on 12 February 1915 whilst serving with the 1st Battalion in the Armentieres sector. 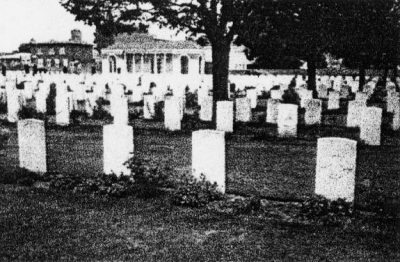 He is buried in the Cite Bon-Jean Military Cemetery at Armentieres. Also see Wellington & Shrewsbury Journal 27 February 1915, page 7.